In 1995 Google did not exist. In 2005 it celebrated its one year anniversary as a public company. In 2015 Google changed its operational infrastructure by creating a parent company called Alphabet which the Google we know is just a part of. The other companies — including Google X, Fiber, Calico, Nest, Sidewalk, and Google Ventures — will be fully owned, but separate, each with its own CEO and finances. The Verge has an excellent sum up of all the current companies, products and projects Google Alphabet owns in alphabetical order. What will the future bring? What will the alphabet of Alphabet(?!) look like within another 10 years? Below you will find a list that’s based on current projects, patents and speculative assumptions on how technology will continue to evolve. An autonomous agent is an intelligent agent operating on an owner’s behalf but without any interference of that ownership entity. With Google’s A.I., algorithms and data processing capabilities agents as a service will do anything from handling airport control and managing a taxi company with a fleet of autonomously operating cars to more personal settings like planning the perfect holiday to managing your household. These agents can be both robots as well as invisible operating systems. Or both at the same time for that matter. A bio-engineer tries to bridge a gap between biology and engineering. In Google’s case this could mean anything from storing and printing digital DNA to recreating the human brain in order to improve their neural networks. This should also be perceived in the context of the current Lifescience project (see L) to basically somehow someway prevent the negative side effects from getting older. You can expect Alphabet to have job openings for bio-engineers in the near future for research on DNA hacking and printing biological tissue. Or deploying genetically modified mosquitoes to fight diseases. Alphabet already seems to have a car company so this isn’t a big surprise. Alphabet Cars will be anything from Android entertainment for cars to the software that lets any connected car be autonomous. I can also imagine that Alphabet will some day give Tesla a run for their money combining projects in both green energy (see E) and autonomous vehicles. 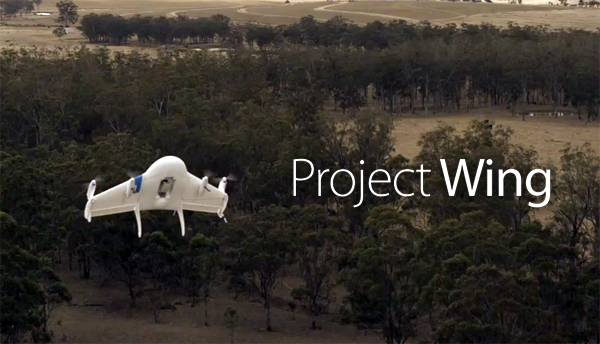 This is an easy one, Project Wing is already actually a thing. The prototype can already drop and reel in small packages. This company will start by delivering stuff to remote or hard to reach areas but in 2025 delivery drones will probably be the new UPS-guy. Alphabet is bound to be in the green energy industry as well. They already own a company named Makani that makes an energy kite that can harvest wind power. It’s more efficient than a turbine on the ground because it floats up to where there is stronger wind. The kite makes giant circles in the air to spin its blades and generate energy. This will blend in perfectly with any so called smart city initiatives (see H) and will maybe one day even power the incredible data centers that run their operation. Fiber is already delivering high-speed 1-gigabit Internet and cable TV to some US cities. In the future Fiber will be the name of Alphabet’s internet service provider company that will operate globally either via fiber optic cable or air balloons (despite the name) to connect remote communities. Yes, Google will be Google. Search, ads and Android will still be part of their core business. Search won’t be the same though. Within 10 years their Knowledge Graph, a database of semantic search information, will give users actual answers to their questions rather than just links to click. Since its inception as Sidewalk labs, now Habitat, this company was focused on improving city living for everyone by developing new technologies to deal with urban issues like cost of living, transportation, and energy usage. So far four US cities have a fully autonomously operating smart grid, traffic jams have almost completely disappeared and with the redistribution of food waste using smart algorithms and autonomous trucks a lot less food gets wasted. This company will be the powering backbone to all operations that involve some sort of A.I. In 2025 research on neural networks and “deep learning” methods to make systems smarter and autonomous. It will also be one of Alphabet’s most controversial companies since artificial intelligence is a form of intellectual horsepower and Google believes that it will become a cheap and abundant resource to solve the toughest global problems. But even before 2025, A.I. has already proven that its dark side can not be ignored. What started out with a piece of cardboard and a thing called Jump (a camera rig that consists of 16 camera modules in a circular array), became a separate company working on Virtual Reality hardware like displays and cameras and a production company creating VR experiences using apps, movies and games. The best application is using Google Streetview VR, in which you can travel to world from the comfort of your couch. Everyone loves animals, also in 2025. At first this was just a pilot for dogs but is has evolved into something that has become known as the quantified pet. Our beloved animals will also be connected to the cloud with the purpose of biometric monitoring and making sure they’re healthy. Project Calico has become its own company that already cured 200.000 people suffering from Alzheimer’s. It’s also on it’s way towards curing most forms of cancer and eased the life of millions with devices like the diabetes-monitoring contact lens, self-stabilizing spoons for patients with tremors, synthetic skin, and disease-detecting nanorobotics who can permanently stay in the body. Together with bio-engineers (see B) an Internet of DNA is next on their list. Nest was just the start of Google’s connected home initiative. Today Nest makes a thermostat, a smoke alarm, and a security camera, but in the near future Google will start connecting all of our appliances to the Internet. Since Nest was just a strong brand to begin with, in 2025 Nest will also sell stuff like voice-controlled ovens and smart locks. Maps will still be around and will only get bigger and more important. The biggest transformation will be 3D mapping which will allow for creating 3D models of everything and for better indoor mapping. 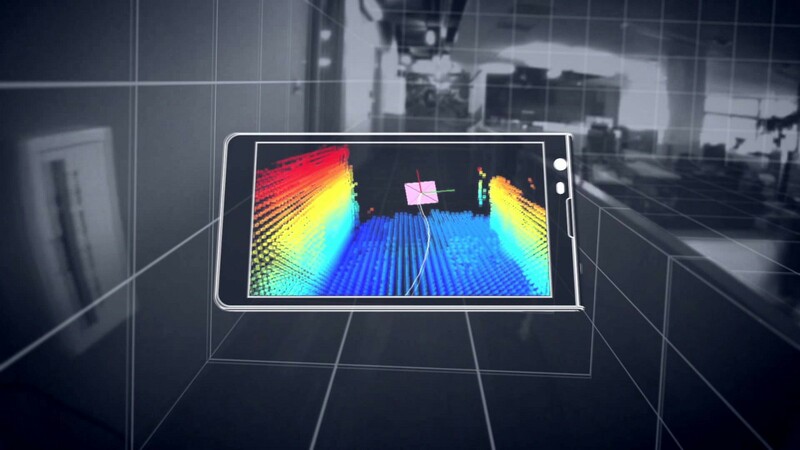 Project Tango is the first step towards the future of mapping and combines 3D motion tracking with depth sensing to give mobile devices the ability to know where something is and how it moves through space. Why not shopping? Because shopping is just a part of offers. Shop at any online of offline retail store from any device is just part of what Google Offers will do. Use offers to get better deals on insurance, tickets of any kind, household energy consumption, you name it. Alphabet will snoop just a little fee for connecting a consumer to a product and this will sustain a steady business model besides ads. Alphabet pay is like Google Wallet but since it’s now 2025 it just works. Everywhere. Online, when you’re travelling abroad but not just for you, also for your devices. Your washing machine will negotiate a favorable energy rate with the energy company and will automatically pay for your use of energy. 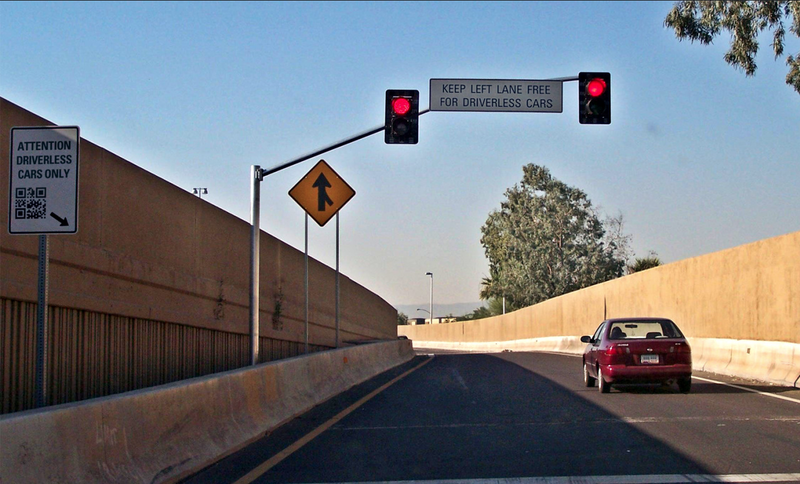 Your car will automatically pay fees for using roads or driving at peak hours (see U). Another thing the Mountain View giant is already working on. Quantum computing will have evolved heaps from where we are today and the things we now call supercomputers will seem like Dell computers running Windows Vista in 2025. This will have a huge impact on lots of things but security might be among the most important ones. Quantum cryptography could potentially fulfill some of the functions of public key cryptography in a hyperactive hackable world. In 2014 Google bought a range of robotics companies among which Boston Dynamics (BD) was one of the most interesting. BD was working on military robots at the time for one thing and their showreel is pretty impressive, and a little scary. How the robotic future of Alphabet will enfold is a hard question to answer. Anything from industrial robots like Baxter to robotic friends that might mimic your deceased relative would be possible. 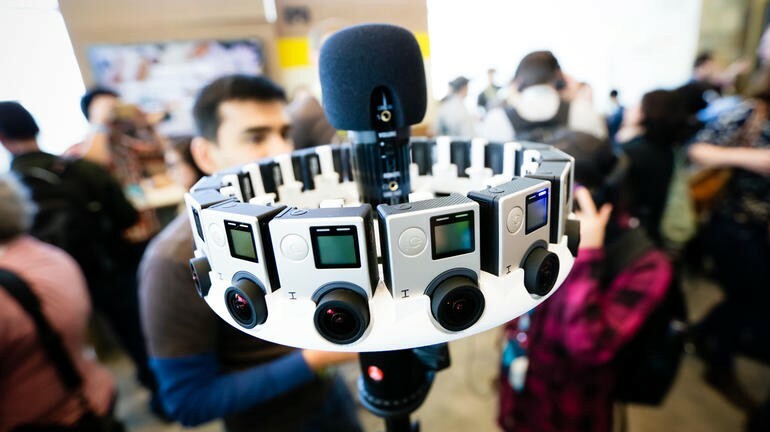 Google acquired a company called Skybox Imaging last year for $500 million. It produces smaller satellites that are cheaper to build and launch than traditional ones. That makes it easier to get lots of them in the sky and get more frequently updated images of the planet. This company will provide a part of the infrastructure needed for autonomous cars (see C), global internet (see F) and next level mapping (see M). Google Translate has evolved from a webpage and an app into a real time translator that either sits in your ear of on your phone. Translate in 2025 will use advanced natural language processing to understand any language in real time and translate iit, voice2voice, to a user in real time. Having a conversation in Mandarin this way will become as normal as skyping with your friends. There are two technologies that will form the foundation of the uncentralized/decentralized computing stack: mesh networks (decentralized networking) and blockchain (decentralized value transfer). This unit will leverage the possibilities of decentralized infrastructures to create local financial and communications systems and more industrial applications like m2m communications networks at remote industrial sites. Ventures will be what it is today, Alphabet’s VC money to invest in start-ups or acquire new companies. Google is known for its moonshots and most of them came out of the Google X lab. 2025 also needs moonshots, so this will still be an exciting unit. Hopefully Astro Teller will still be in charge, because that name is simply perfect for the context. * If you are wondering how this translates into new types of lawsuits Google has to face, Motherboard already has a list of 5 new and weird ways. Verhalen over de impact van technologie op de mens en andersom.